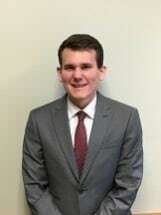 Kyle J. Jones is an associate attorney with Godfrey, Leibsle, Blackbourn & Howarth, S.C. Kyle earned his law degree in 2018 from the University of Wisconsin Law School, where he served as a Note and Comment Editor on the Wisconsin International Law Journal. Kyle gained significant real estate transaction experience through his clerkship with a Wisconsin law firm. While a clerk, Kyle drafted numerous real estate transaction documents. Kyle's law practice concentrates in commercial and residential real estate law, including development and entitlement work. He is a member of the State Bar of Wisconsin. Kyle is admitted to practice in the state of Wisconsin.